Till now in the earlier posts we have seen Responsive WordPress themes, AdSense optimized WordPress themes. Now in this post, you are going to see some of the SEO optimized WordPress themes. 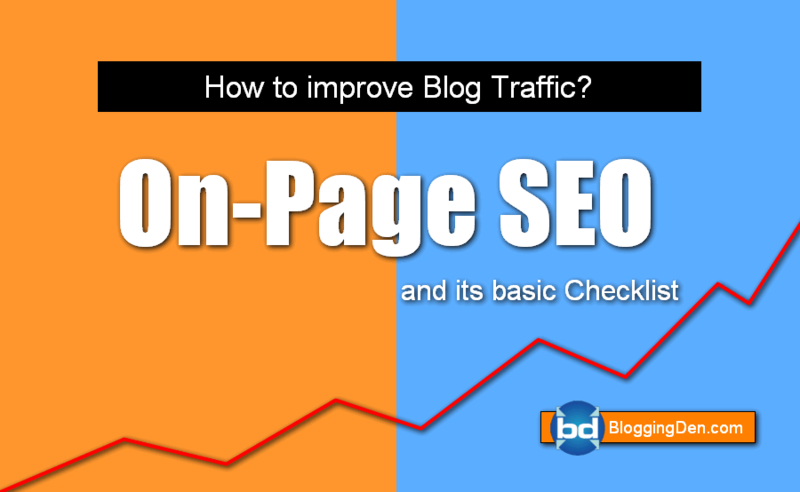 We all know how important the SEO is while getting ranking to our pages. Even though we do a lot of SEO while writing the posts, it is also important that the website itself should be optimized with the SEO. This can be done by adding the Meta tags and keywords in the coding of the website. That is merely impossible to find correct locations to add our keywords in the theme coding. Hence in some SEO optimized WordPress themes, there will be spaces provided for us to provide keywords and Meta tags into the website coding. This is only provided in the theme. Hence it is always important to search for best SEO optimized WordPress themes. So what is the importance of SEO optimized WordPress themes? Here in the SEO optimized WordPress themes you need not do any additional SEO on the backend process. The WordPress themes always must be optimized with SEO for good ranking of the website. Voice is one of the awesome SEO friendly theme and responsive. The theme was created as News/magazine/editorial design based. It comes with Woocommerce integration and bbPress feature. You can customize this theme by using advanced theme options panel easily. It comes with unlimited fonts and colors with a simple button. The Voux WordPress theme is a best WordPress theme that has been fully optimized for the SEO terms. This SEO optimized WordPress theme is the well known and popular theme. This has got a very good performance in SEO optimization in the past and till now and it is still a leading theme for SEO. The Vous is a leading WordPress magazine theme. The BeTheme is a fully optimized SEO theme by ThemeForest for WordPress. This theme comes with different layouts that are fully SEO optimized and you can select any of the layouts for your magazine or WordPress website without any hesitation. The one-click installation of every theme is very pretty to use. Even though the free theme has good features, the premium BeTheme has got pretty good features for your websites. Envato sets up the theme, hosts your website, and provides support. The Soledad theme is the best option for the SEO optimization. The Soledad SEO optimized WordPress theme is the best option if you choose it for the Blog or Magazine. The only disadvantage of this theme is that there are some basic troubles. Even though the basic troubles persist, they can be easily resolved by the quick support. The SEO WP theme is mainly meant for SEO optimization and is a best SEO optimized WordPress theme. Since the first introduction of the theme in 2014, it has served its best in providing Best SEO optimization. Many prefer this theme still now for its best SEO optimization. The customization is so easy with the live support of the team. This theme is a search engine friendly theme. This got a very good feature named Live Composer page Builder with which you can build your theme attractively. Extra the elegant theme is the best SEO optimized WordPress theme for bloggers. This theme has got very better options than just SEO option. You can customize your website with best features and you can get more from your Extra theme. This theme is integrated with different modules and columns that will give your website a professional look. The drag and drop options are also integrated into the theme and you need not work hard with coding and all. The AD-Sense theme is the theme that has all the features that a theme should have. It has got AdSense support, responsive support and now it also got SEO support. This AD-Sense theme has got good SEO optimization and suits best for your websites. The Ad-sense theme comes with 8 responsive layouts. Every layout comes with best SEO optimization. The SEO optimized WordPress theme along with the responsiveness makes it the best theme of all. Now the socially viral theme is fully optimized for both SEO and also the Adsense. Here it is two birds in one shot chance. You can get very good features in this theme. The theme is built in such a way that it attracts all your audience very much for your page. This theme is not only supported by content SEO but also you can add photos and videos to your blog. By using this SEO optimized WordPress theme by the Mythemeshop you can easily rank your website with good SEO footprints. This premium WordPress theme is another one of the best SEO optimized WordPress themes. This theme comes with the Genesis framework. Although there are many SEO optimized themes in the Genesis framework, no theme is able to beat its SEO capabilities. This is one of the best magazine WordPress themes. This is specially made WordPress theme for SEO optimization. This theme has got the best feature of creating viral and popular websites and is a best SEO WordPress theme. The BoomBox is an all viral magazine theme. All you can do to post to make it viral can be done simply by the theme. Schema theme has got a bunch more than any other WordPress themes. This theme is one of the best SEO optimized WordPress themes and has more demand in the market these days. The best thing in the Schema theme is that it has good loading time, which is an essential part of the SEO optimization. The very modern, newspaper theme, now with SEO enabled is the Sahifa theme by the ThemeForest. Along with many other features like responsiveness and AdSense ability, the sahifa theme has also got the SEO optimization. This has got a lot of attractive features and is also a very popular theme. This has also got a good customer support. You can get instant support any time for the theme customization. Noon is a newly released WordPress theme for Magazine, News based sites & blogs. It is a viral and User-friendly theme. It has a good design for mobile devices with easy navigation feature. This is a perfect SEO optimized WordPress theme and fully optimized for Speed. You can use this theme for both Adsense and Affiliate marketing purpose. Price is $25. The price will rise up to $59 next week. The above listed are some of the best SEO optimized WordPress themes. There is also a lot to be explored. But the above is the best to get started with WordPress SEO optimized themes. If you are simply looking for the SEO optimized WordPress themes, the above is the correct choice for your blogs. You can simply start your blogs or websites with the above listed best SEO optimized WordPress themes. The above is also included with some best SEO WordPress plugins for best optimization. Some of the above themes are providing best SEO for WordPress plugin without any additional settings. Schema theme & magazine pro theme are the best SEO optimized themes in the market. This themes are also easy to install. Thanks for sharing this awesome list of WP themes.